When a plane crashes in an accident, there's no shortage of photos and video of the wreckage, while footage of the actual impact is rare. 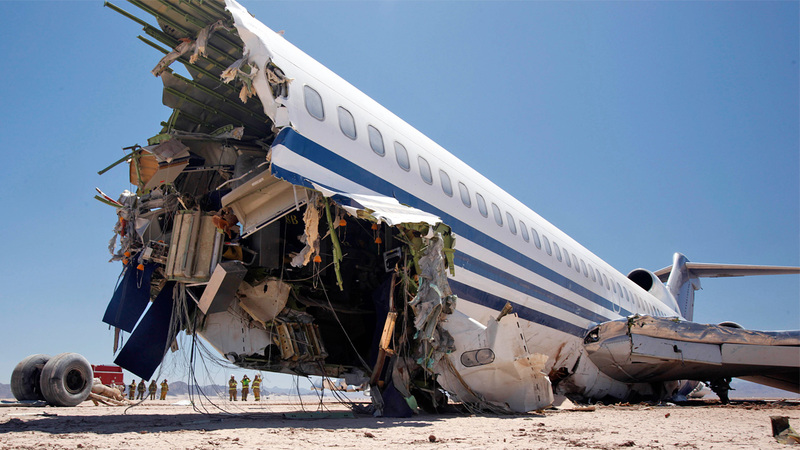 So to appease our morbid curiosity of what really happens when a large airliner crashes, the Discovery Channel deliberately downed a 727 in the desert for an upcoming show. The new documentary series, appropriately titled Curiosity, will literally start out with a bang — as well as crunching, scraping and all manner of sounds as the plane, packed with crash test dummies, scientific equipment and cameras, was crashed in Mexico's Sonoran Desert.